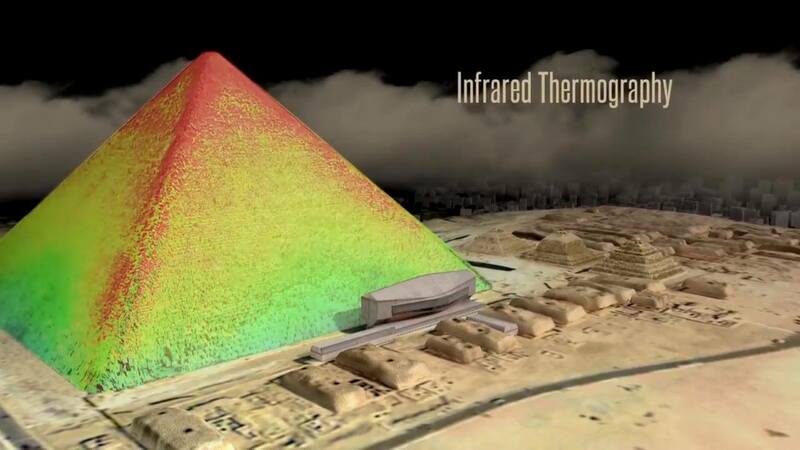 The Great Pyramid has a huge “plane-sized” void at its middle, according to scientists. What lies in the middle of the structure has been debated for years, with researchers unable to actually see inside. But the new discovery just deepens that mystery: they now appear to have discovered that it contains a huge room with an unknown purpose. The discovery is the first of its kind to be made since the 19th century and comes as part of the “ScanPyramids” project, being run by an international team of researchers. That sees them use particle physics to try and scan deep into the pyramid and find out what’s contained within, without disturbing its outside. Previously, the same research project has found mysterious “heat spots”, which still remain unexplained. That prompted rampant speculation about what the Pyramid – the only surviving wonder of the ancient world – was hiding inside of it, and the new discovery is sure to do the same.